New York City has plenty of purportedly haunted locales, but a surprising paucity of that suburban childhood Halloween staple: “haunted” houses. Sure, you can head to a bar downtown and wait for the ghost of Jack Kerouac to manifest itself in a cocktail garnish, or hope to run into a tragic silent movie star on the site of an old film studio in Queens, but there aren’t a lot of places where you can pay for an aspiring actor in passably believable gore makeup to make scary faces at you. But, the haunted houses and attractions (or, in modern day internet speak, “haunting-inspired immersive experience pop-ups”) we do have come correct. They’ve got your fake blood, your corpses, your jump scares, your actual boneyards, tableaus straight out of your most terrifying nightmares, and it’s all so very Instagrammable. So go ahead and stake out an abandoned hospital to catch a glimpse of the ghost of a mercurial psychiatrist for as long as you want. Then get back in the New York groove, and pay a fee for instant gratification and an artificial thrill at the city’s best fake fear factories. This 5,000-square-foot house of horrors is worth a MetroCard swipe to downtown Manhattan if you can brave long lines, hour-long waits, and hair-raising scares. Visitors with heart conditions and anxiety issues are cautioned against a trip to Blood Manor, which equates to guaranteed thrills for the rest of us. Ghastly ghouls in various stages of decrepitude follow guests as they wander in and out of terrifying themed rooms at this classic, sprawling fear factory. Warning: Don’t wear nice clothes. Visitors are known to leave with (fake) blood stains. Now in its 20th year, this pop-up “inn” fashioned after a seaside resort is one of the cheapest haunted house experiences in the five boroughs. Why is it so affordable? It’s run by students from New York City College of Technology (City Tech) design, rather than the typical craven corporate creepshow profiteers. Plan a trip to the nautical nightmare during the last two weeks of October to see possessed portraits, decapitated tourists, and to visit with guests who checked in, but never checked out (because they died and now they’re scary ghosts). A sinister answer to Dream Machine’s Instagram playground, Nightmare Machine is a walking tour of your worst “phobias and freakouts.” And, in an apparent effort to appeal to social media zombies, its creative, yet ghoulish design is more sophisticated and photogenic than it is scary. Snap selfies amid the tasteful gore of a bloody ball pit, a ghastly graveyard, and a skin-crawling cockroach display. Few New Yorkers are familiar with the Mount Vernon Hotel Museum and Garden, which was once a 19th-century vacation destination for wealthy city dwellers who needed to take a break from the chaos of downtown. On October 20, 26, and 27, the museum transforms into an interactive mystery game. You’ll explore the historic grounds by candlelight, and collect clues to solve the mystery of the unidentified spooky skeleton inside the museum. Plus, the place is so old there’s got to be some actual ghosts kicking around. They say all dogs go to heaven, but what about our furry friends who get trapped between this world and the great beyond? Keep an eye out for animal apparitions on the Bronx Zoo’s spooky haunted trail for one night only on Friday, October 19. 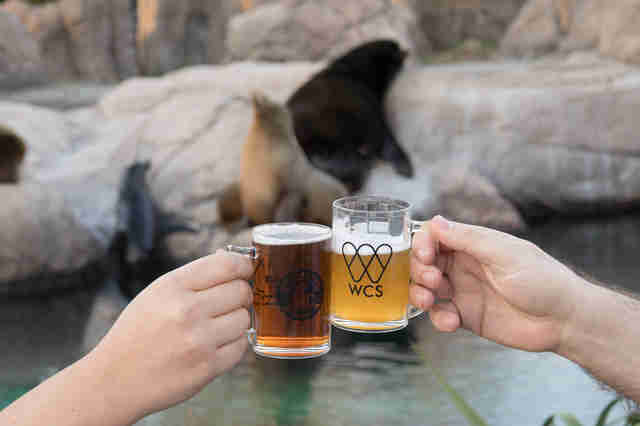 Admission includes live band and DJ tunes, karaoke, mentalism shows, and unlimited beer samples that might get you on your way to seeing those ghost lions and tigers and bears. Oh my. 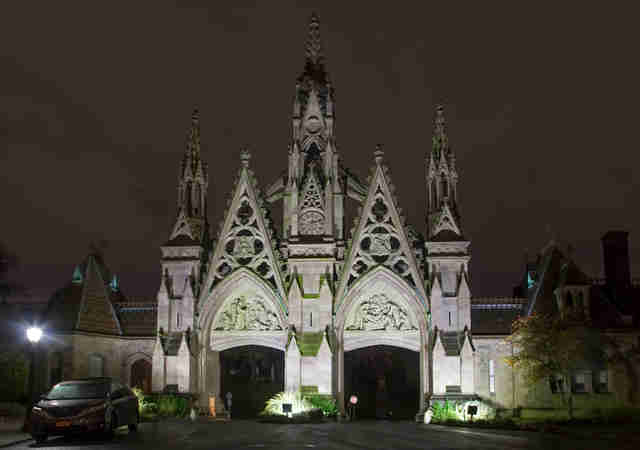 It’s a pretty short trip to take Green-Wood Cemetery from regular haunted to Halloween-themed haunted, what with all the decayed corpses underfoot, but this boneyard tour is on steroids. On October 19 and 20, guests will follow paths illuminated by hundreds of candles while encountering all sorts of surprises. 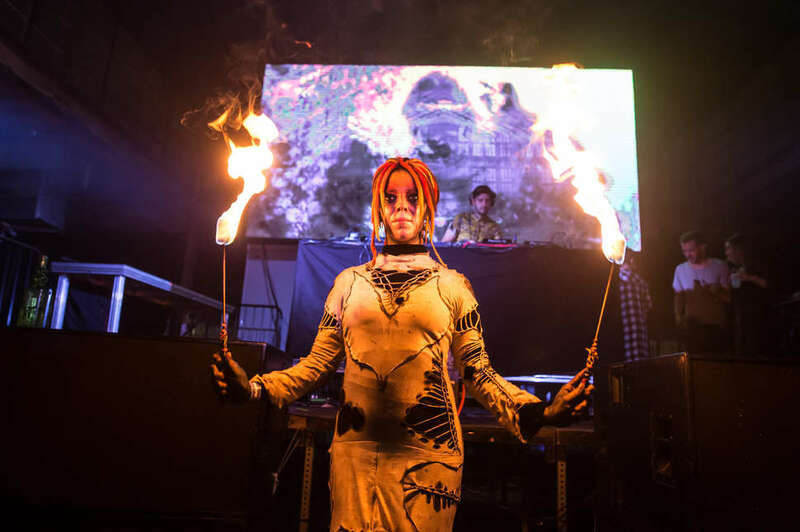 Storytellers will spin terrifying yarns, professional sound creators will provide sonorous scares, and performance artists will pop out of nowhere to purposely frighten the brave souls who signed up for this event. This haunted manor/party hybrid is a Halloween twofer. 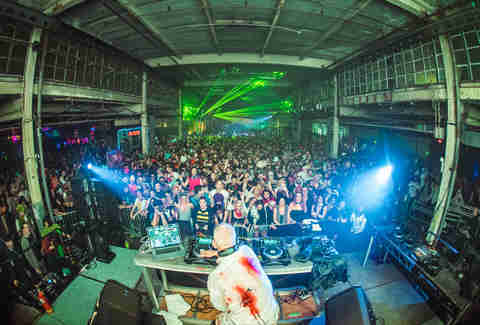 Expect spooky performance artists, music, and costumed dancers in rave-like environs. Make a fun game of guessing who’s in costume and who’s in their regular going-out garb.